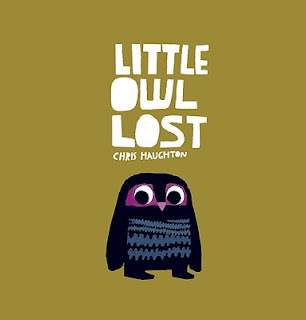 The story that Chris Haughton brings us with his book Little Owl Lost is not a new one. However, the pace of the story and the color palette that he uses to illustrate this story are, and I think that both will appeal to parents and little listeners. 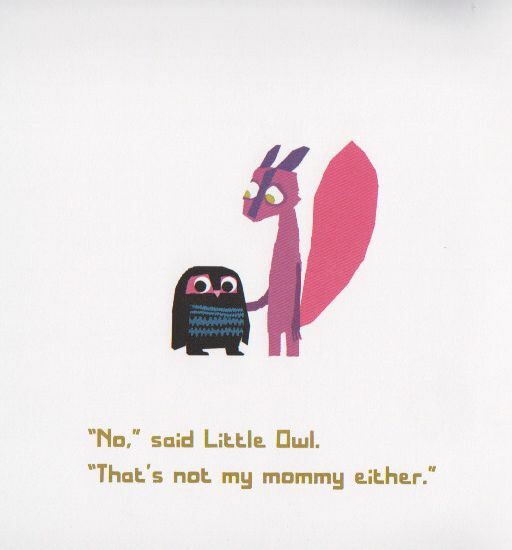 Little Owl and mom are napping one day when... Uh oh! 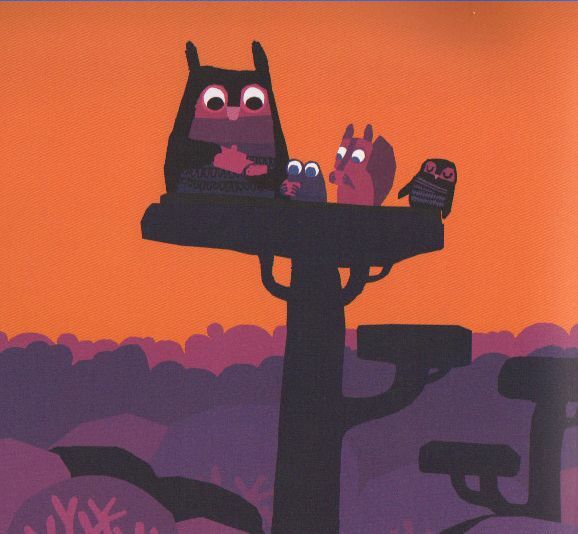 A tearful Little Owl meets up with Squirrel, who ask a few questions before trying to help. What does mommy look like? Little Owl answers, "My mommy is VERY BIG. Like THIS," and holds his wings far apart. I realize that the colors used are not typical for a children's picture book, but I think that they are what makes this story all the more appealing. So few books stand out on the shelves anymore - Little Owl Lost definitely deserves your attention!